TdS 2019 is on! Morning of Sunday 23rd June. 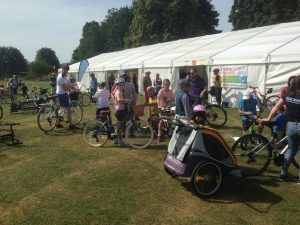 The Tour de Stapleford Family Cycling Event continues to grow with numbers in the high 80’s on what was a glorious sunny Sunday morning. 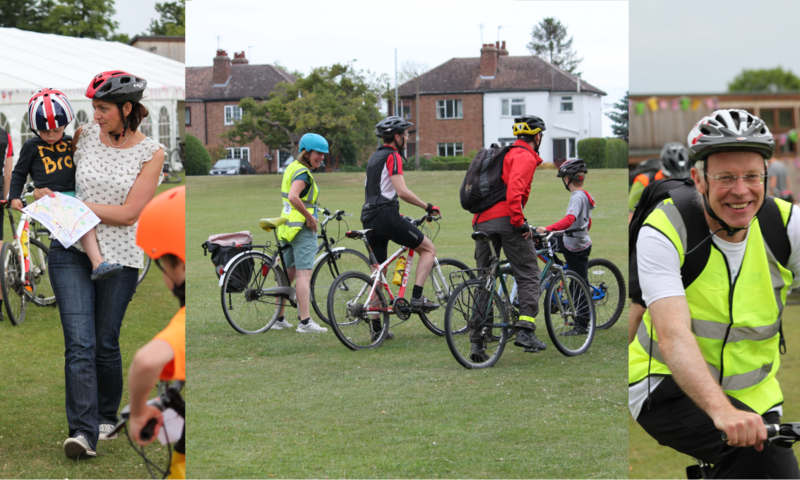 All ages turned up, from new riders taking a turn around the recreational ground to those who rode the whole 7 mile marked route. Marshalls were in good humour and as well as guiding riders had supplies of sweets to help any weary riders push on. As with previous years the route makes the most of the extensive cycle ways and bridal paths we are fortunate to have on our doorstep. Smiles were abound as riders returned to the marquee and their efforts were rewarded with a certificate and bacon sandwich. We even had a birthday party group ride round as part of the celebrations for the special person. If you have never joined us come along, and for those who have we loved your company and very much look forward to seeing you again next year.